You have a military channel in the U.S? I’m so jealous! I love military history! But seriously I always read your posts because they’re brilliant! I love military history as well. It’s so intriguing.. 🙂 Glad you are enjoying my blog.. that makes me happy. Have a wonderful day. This is heartening for me to read right now as I am starting my third day of the Elimination Diet, which is used to determine food allergies/sensitivities. It seems I am sensitive to pretty much everything, which sensitivity has led to chronic inflammation and pain. Although it’s not a matter of addiction (save the caffeine, which is mild), my body is in detox and I crave everything I can’t have. I have to keep reminding myself that I just can’t have it right now. Forever is way too big. Good luck with your diet, Deborah…. 🙂 I have faith you!! 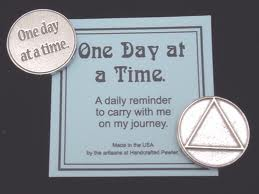 One day at a time works for many things..